Say goodbye to the delivery boy. 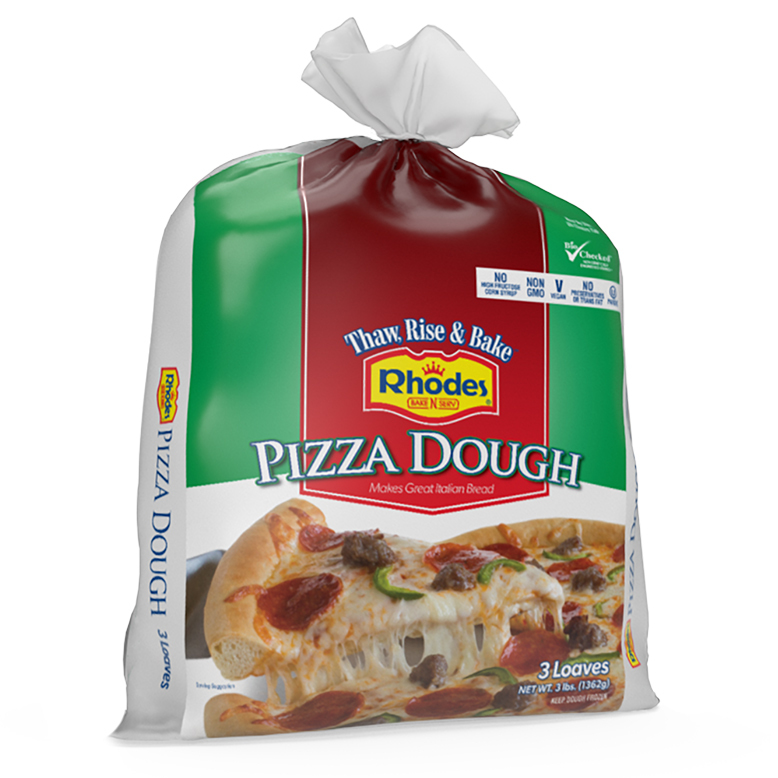 Rhodes Bake-N-Serv® Pizza Dough makes the perfect pizza crust. Personalize your pizza by making it any size you want and topping it however you choose. It’s also great for Calzones or as a loaf of Italian Bread. There are three loaf/crusts per bag. No preservatives, Vegan, Vegetarian, Kosher Pareve. Made In The USA. Let dough thaw (covered with plastic wrap coated with cooking spray to keep it from sticking to dough) for 2 to 4 hours or overnight in the refrigerator. Actual time depends on the temperature of your kitchen. Remove from refrigerator 20 to 30 minutes before you are ready to shape dough. Carefully remove the plastic wrap. Slice loaf in half lengthwise. 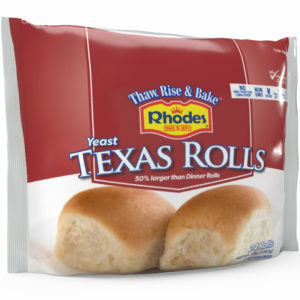 Roll each half into a 15-inch loaf. Roll loaf in flour. Place on a large baking sheet coated with non-stick cooking spray. Make diagonal cuts on top of loaf 1/4 – inch deep. Cover with plastic wrap coated with cooking spray to keep it from sticking to dough while rising. Let rise 2-3 hours or until double in size. 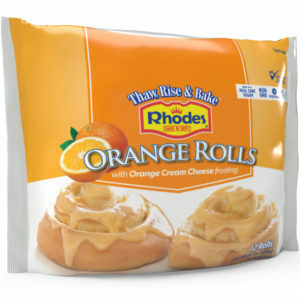 remove wrap and bake at 400°F for 10 minutes. Reduce heat to 350°F and bake 10-15 minutes longer. 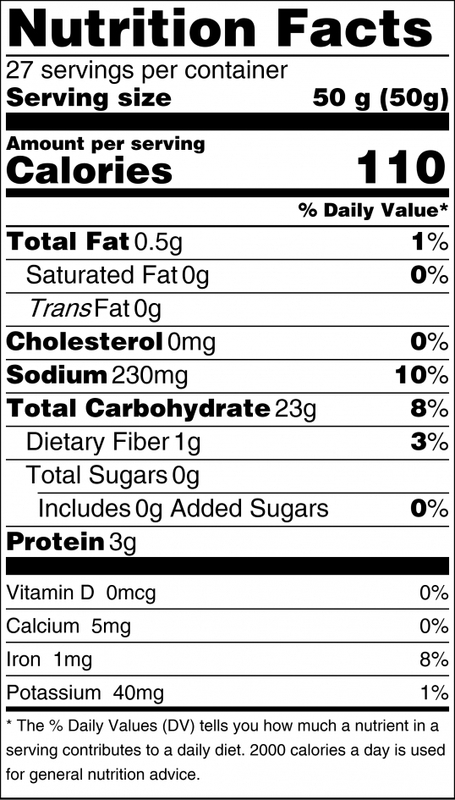 INGREDIENTS: Unbleached enriched white flour (wheat flour, malted barley flour, niacin, ferrous sulfate or reduced iron, thiamin mononitrate, riboflavin, folic acid), water, yeast, monoglycerides, salt, soybean oil and/or canola oil, high fructose corn syrup, sodium stearoyl lactylate, yeast nutrients (calcium sulfate, ammonium chloride), ascorbic acid, enzyme (added for improved baking).